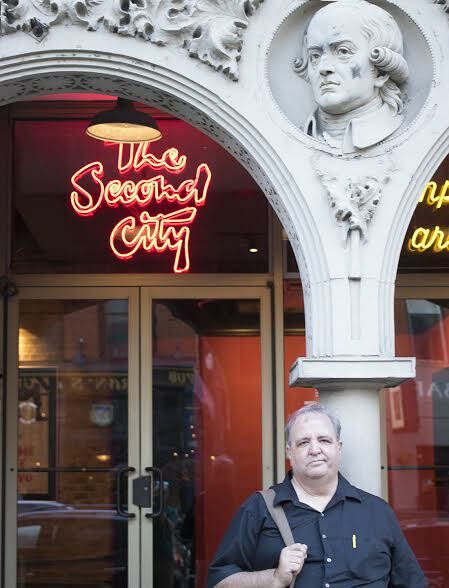 David Dufour has been spending time regularly in Chicago lately, learning and perfecting his writing style in sketch comedy at The Second City Training Center. The Second City is a groundbreaking organization famous for its part in training Saturday Night Live (SNL) greats John Belushi, Chris Farley, Steve Carrell, Stephen Colbert, Tina Fey, and Amy Poehler, and now IU South Bend’s own David Dufour. The structure of the program is that over the course of the year, and there are classes ambigiously titled “Writing 1-6.” Each class is 8 weeks long. Writing assignments are weekly and the exercises presented in class help to foster the creative process, generate material, and establish a regular writing schedule. Writing 1-4 are traversable for the entire accepted class, but Writing 5 and 6 require students to submit a sketch for review to, ideally, make it to the Student Stage. The benefits are many for Dufour’s personal creative development, the community, and Dufour’s future students. As for students? Dufour sometimes teaches Intro to Theatre, and the assignments that he assigns for that course will benefit from his new perspective. “For starters, one of the assignments in that class is to write a 2-person scene, so I feel like I can give them better input after having done a number of these and show them how—show people how it works. The more you write, the better you get at it, if you’re getting good feedback,” says Dufour.